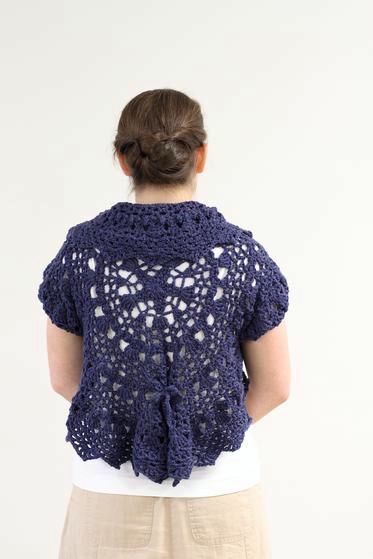 When it's time for a quick, easy garment and a little shoulder warmth, turn to this circle shrug pattern. 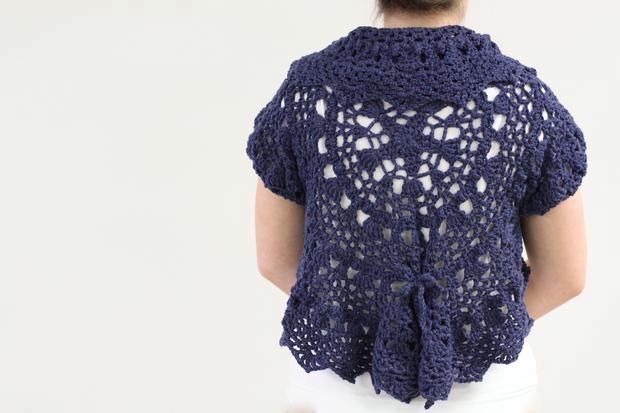 Make it in a weekend, since it uses a quickly stitched lacy pattern of V stitches and different sizes of shells in my favorite soft, washable worsted yarn. With cap sleeves formed by the circle body and gentle ruffles gathered in cute detail with an optional tie, it's a trendy layering piece especially in a vibrant color. 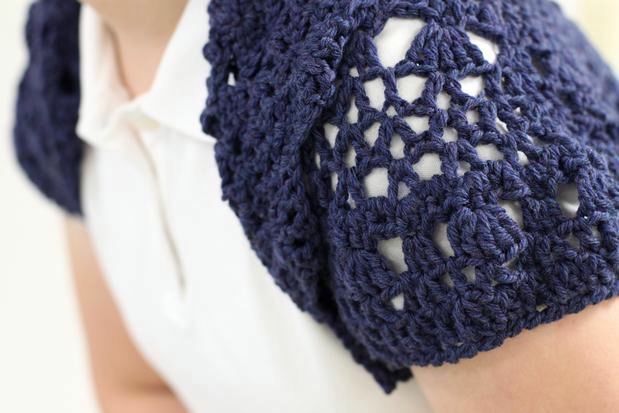 Just work in the round like a huge doily, skip stitches to make sleeves, and work the pointed edging. 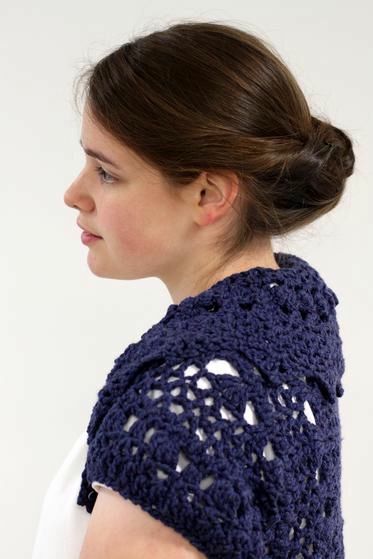 When it's worn the top of the circle folds back to make the shawl collar. 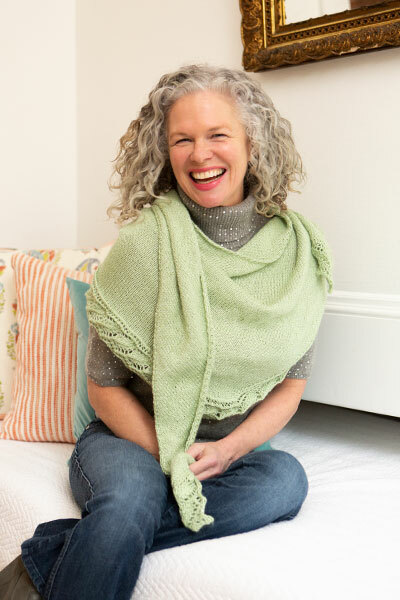 Written for sizes S-4X, it's a perfect first garment because of the lack of shaping. Model is size M. Skill level: intermediate. S M, L, XL, 2X, 3X, and 4X in for cross back (shoulder to shoulder) measurements 14 1/2 (16, 17, 17 1/2, 18, 18, 18 1/2) in.